Over in gay Paree for a few days to settle my daughter into the next six months of her year abroad adventure. yesterday was a freezing 11 hours traipsing around prospective flatshares. Couple of things I noticed both here and on the way over. 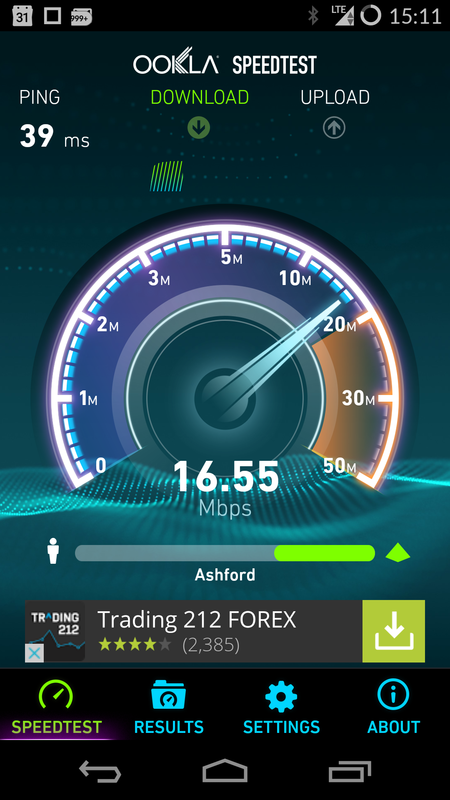 In the Channel Tunnel I was getting LTE on my Oneplus One phone. I’m with O2 and the Oneplus doesn’t support O2 LTE spectra in the UK. The Chunnel however was a different ball game. Despite having data roaming switched off I found I was getting 16Megs down under the water. Whiled away a bit of the journey. The rest of it was spent listening to sounds on the phone. The next thing I noticed is that people were using their phones on the Metro in Paris. If you haven’t been the Paris Metro is just like the London Underground. It’s underground. Why can’t we have mobile connectivity on the tube. It was the same in Barcelona. People talking on their phones on the Metro.